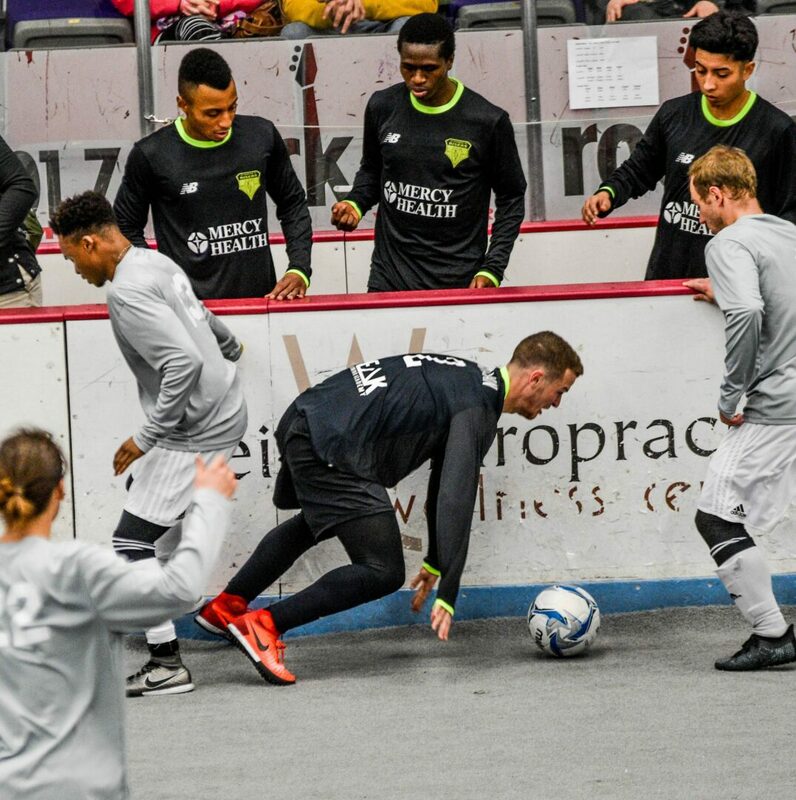 MUSKEGON – As a measuring stick of progress, Saturday’s Muskegon Risers game had to be considered a success. In their first three games of the season, the Risers went 0-3 and were outscored 36-11. The second game was on the road against the Cincinnati Swerve, and they lost by six goals. On Saturday the Risers met the Swerve again, this time at home at L.C. Walker Arena. They took an early two goal lead, fell behind, then fought all the way to the end in a 5-4 loss. But the Risers weren’t consoled by the fact that they are playing better as the season progresses. They were frustrated by the way they lost the game. The Risers were getting numerous chances to score the tying goal in the fourth quarter, but their shots weren’t quite hitting the mark. Then with 2:11 remaining in the game, Risers captain Stu Collins was called for a two minute penalty after knocking an opposing player into the boards. 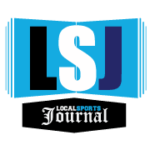 That left Muskegon a player short for most of the remaining time, making it far more difficult to score the tying goal. 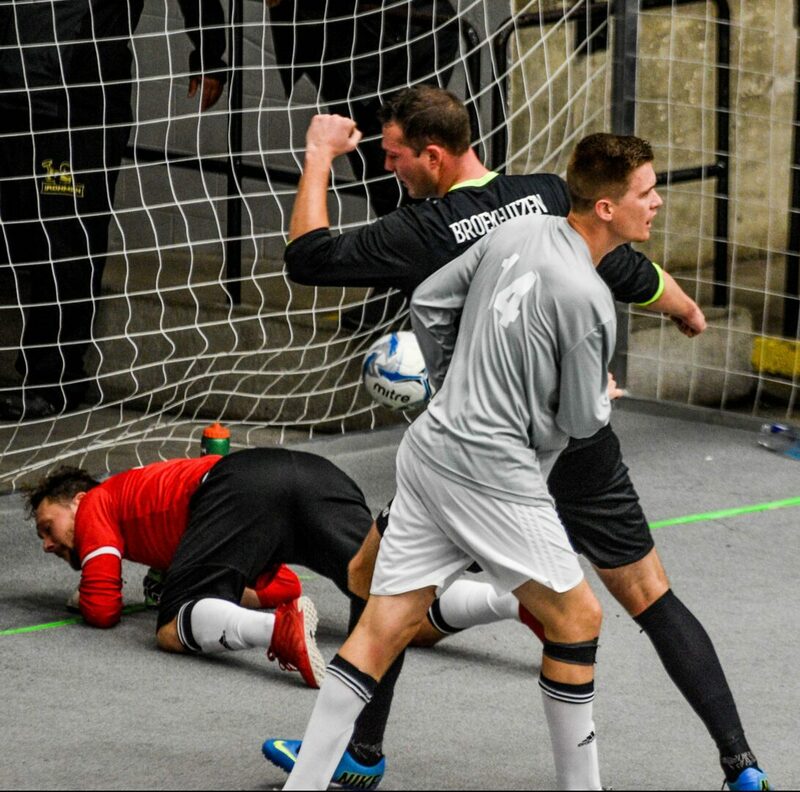 Moments before the penalty, the Risers insist that the Swerve had six players on the field, which should have resulted in a two-minute penalty for Cincinnati and gave Muskegon a man advantage. But the refs didn’t see it, Collins got called for his infraction, and the Swerve escaped with the victory. 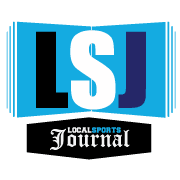 “What they missed, very blatantly, they had six guys on the field,” said Risers Coach Ben Ritsema. “If they would have saw that foul, we don’t get the foul called on us. I know there’s a lot going on, and it’s a hard game to ref, but that was a pretty easy thing. 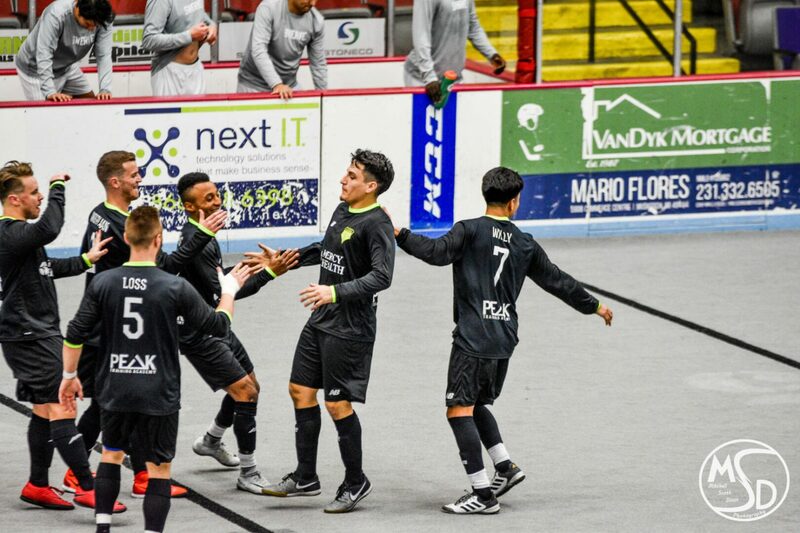 Despite the frustrating outcome, Ritsema admitted that his team has become more competitive in its first season in the tough Major Arena Soccer League 2. Muskegon won last weekend in Detroit, and is now 2-6 on the season. “We’re improving every day,” the coach said. “I think we showed we were the better team tonight. We just got a little unlucky hitting the post with shots a bunch of times. 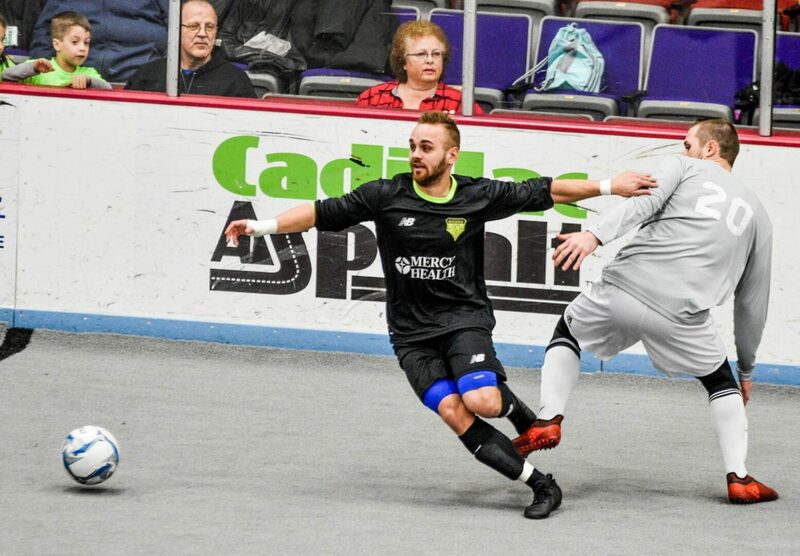 The Risers came out hot, getting a goal from Aldony Mendez at 11:08 of the first quarter and Joe Broekhuizen at 2:25 of the second to take a 2-0 lead. But Cincinnati answered with four unanswered goals – two apiece from Marc Hansson and Christian Johnson – to grab a 4-2 lead in the second quarter. 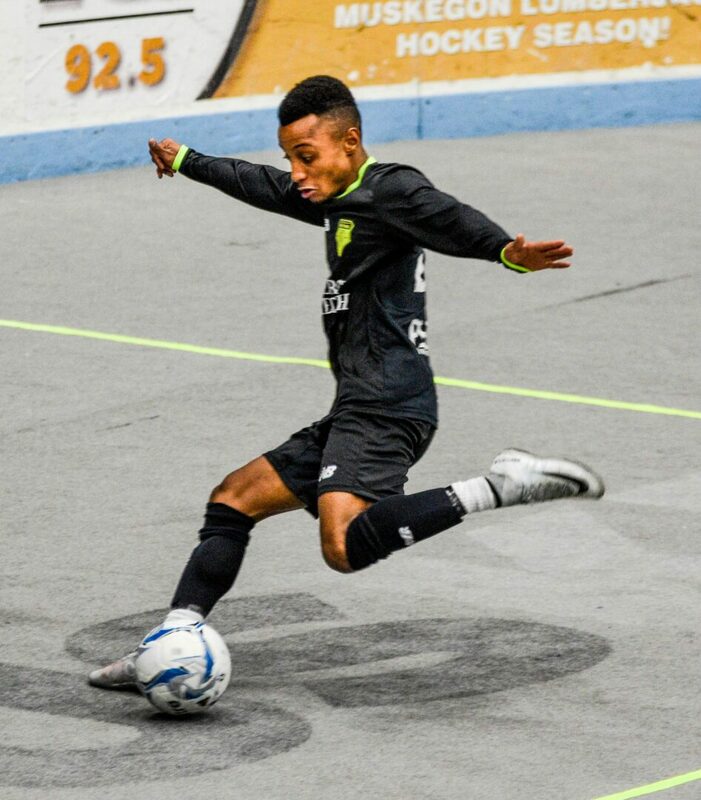 Muskegon’s Paris Martins scored an acrobatic goal, kicking around a defender while losing his balance, with 11 seconds remaining in the first half. Cincinnati led 4-3 at halftime. The teams traded goals in the third quarter. 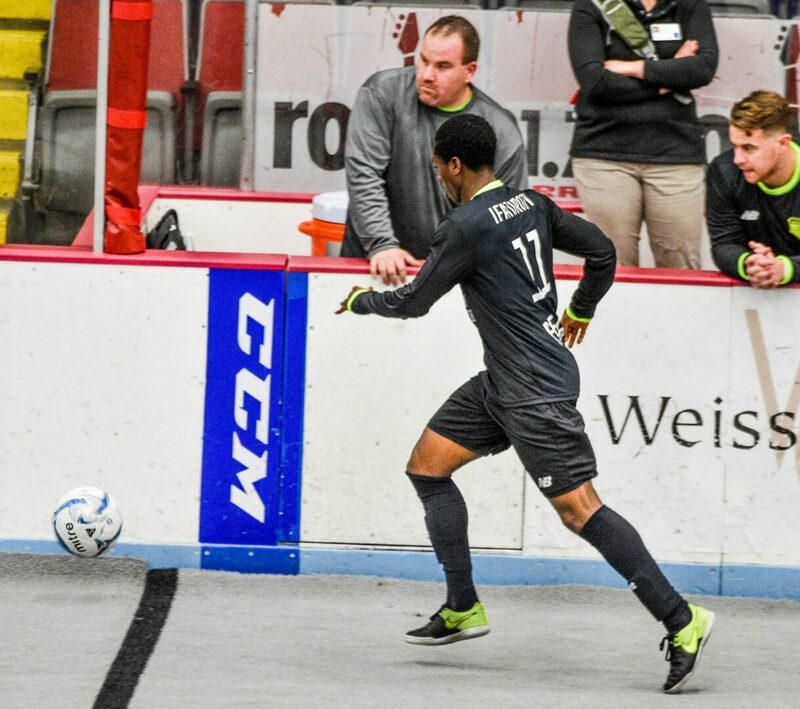 Broekhuizen netted his second tally for the Risers at 7:42, tying the game at 4-4, then Johnson got his third goal for the Swerve, putting the visitors up 5-4. Nobody scored in the fourth quarter, but Muskegon certainly had its chances, outshooting the Swerve 6-3. The Risers failed to score when Cincinnati was shorthanded with a penalty early in the quarter, despite several close calls. The Risers also had several shots in the final few minutes, when they were shorthanded, but the shots didn’t find the net. 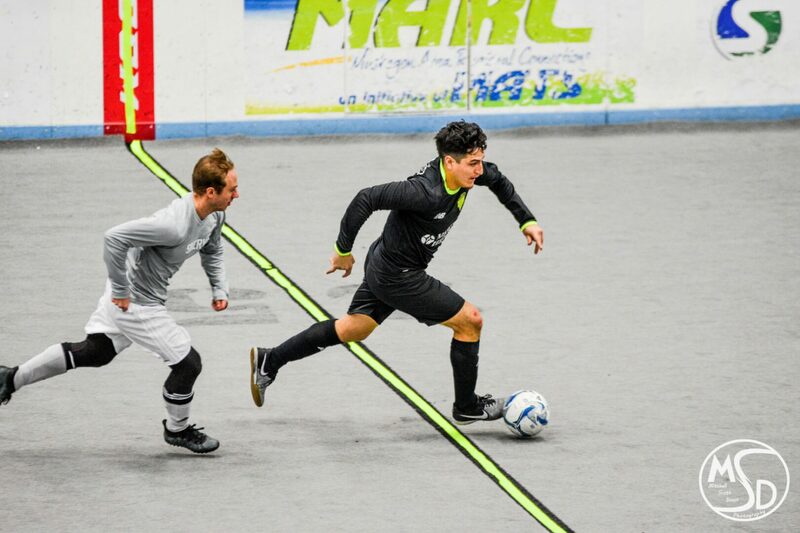 Aldony Mendez, shown here playing for the indoor Risers, is expected to find the goal a lot this season.